Initiatives are problem-solving activities that are portable and can be done indoors or outdoors with groups of any size. Some props (ropes, carpet squares, blindfolds, webbing loops, balls, hula hoops or stuffed animals) may be used, but these activities can be led in any flat, open space. 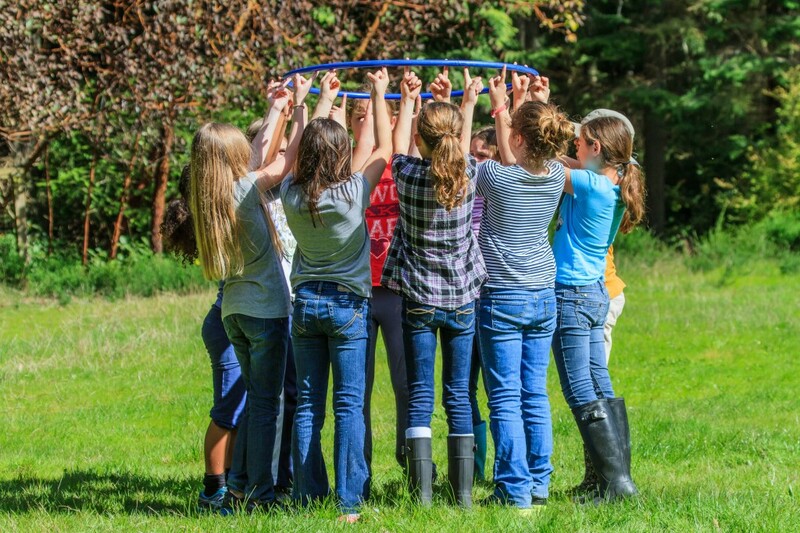 Initiatives require some processing, and are generally used at the beginning of a challenge experience to gauge the functional level of a group before advancing to the ropes course. Groups can work with our facilitators to establish goals for their experience, such as breaking down group barriers or simply just to have a little fun!